Our Stone & Caearstone cleaner works because it is specially formulated for Modern Quartz stone benchtop surfaces such as Caesarstone, Technistone, Quantum Quartz, Silestone, Cambria. We are so confident that you will have the same results at home we offer a 100% money-back guarantee*. 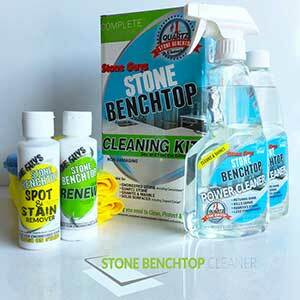 Everything you will ever need for a Stone & Caesarstone cleaner, shine, polish, care for and maintain your stone benchtops. No more confusion on what to use or NOT to use, will using this damage the surface finish. How to make your stone benchtop to look and feel as good as it was the first day it was installed.We have taken all the guess work away. No matter the stain* or problem* you may have with cleaning the solutionat your fingertips. Whats in the BOX? We are the stone repair, care and maintenance stone experts. All our products have been specially designed to be pH neutral, safe on modern stone surfaces. Non-Toxic, Non-Acidic, 100% Biodegradable and Food Safe. Our products give you professional results work first time, every time, 100% Money Back Guarantee. After all our Master Stonemasons have been use them daily. The Stone cleaning POWER PACK has been designed to leave a perfect streak & germ free shine everytime. 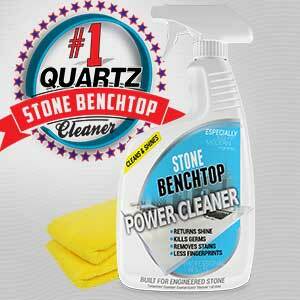 Our Stone Power Cleaner® along will easily lift any common household contamination. Coupled with our nanoTech cleaning cloth® makes removing stains, streaks, germ effortless. Designed to work in harmony to Protect, Clean & Shine. No more fingerprints. Heavy or tough stains can be easily removed without the need for harsh creme cleaners, bleach, vinegar or non-scratch scrub pads. 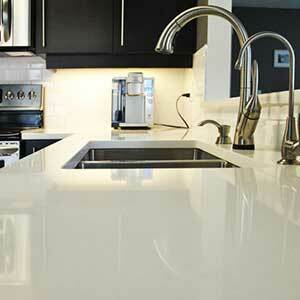 All of which are proven to damage the surface or quartz stone benchtops. 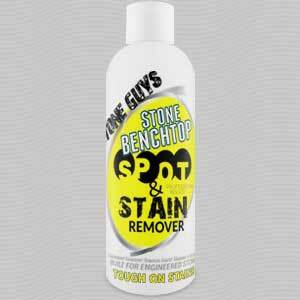 Adding a couple of drops of our Spot & Stain remover and using the special nanoTech applicator designed to help lift the stain not scrub it away along with the stone surface. Only availale in the Stone Benchtop Cleaning Kit for stone & Caesarstone cleaner, Gloss Renew puts that little extra shine back into your clean stone benchtops. 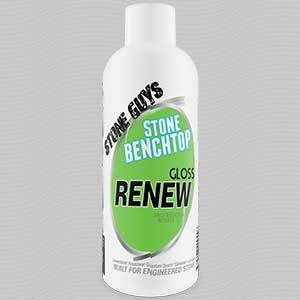 Used about twice a year it will further protect your stone benchtops from stains, fingerprints and dulling. Add a few drops to remove any remanice of blue pens or ink. Free shipping on all orders over $89. 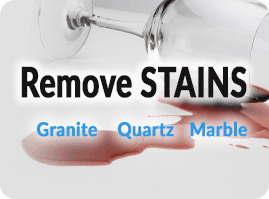 Was your stain caused by one of the following? Best Caesarstone cleaner & Stone Cleaner on the market.